In honor of the first day of October, I thought I’d discuss my favorite of Charles M. Schulz’s little “Peanuts”: Linus van Pelt. Brother of that crazy, football removing, free-therapy-giving Lucy, Linus is the most genuine, sincere cartoon character out there. For example, his favorite holiday is Halloween– not because of the candy, the tricks-or-treats, or the costumes, but because of the GREAT PUMPKIN. 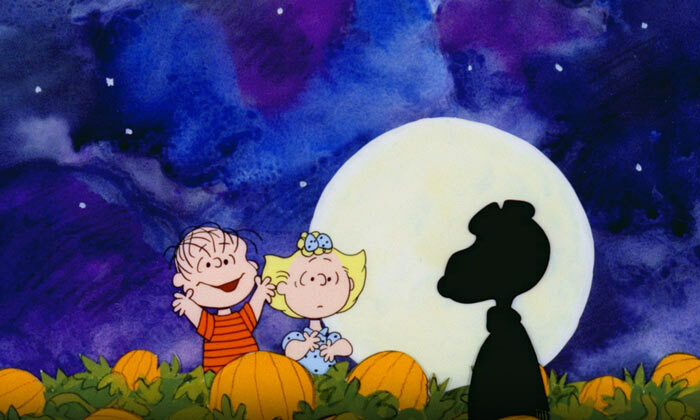 Somewhat like the Halloween version of Santa Claus, the Easter Bunny or the Tooth Fairy, the Great Pumpkin only arrives on Halloween…and only Linus believes in him. 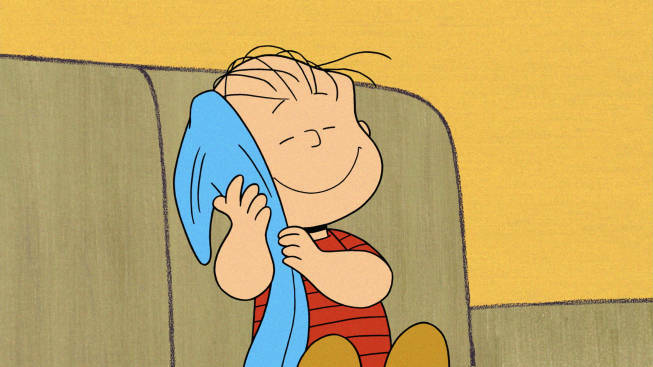 Linus’ conviction is so terribly endearing that I will endlessly, forever vote for him as my favorite Peanut. Snoopy, begone! Ciao, Mista Charlie Brown! Piss off, Peppermint Patty and Pig Pen! Because I love, love, love Linus. When I was little, my grandparents lived right next to the official Charles M. Schulz Museum (and a petrified forest, which is actually really sick). Every year, right around Thanksgiving, we’d head over and do a few loops around the Charlie Brown-themed skating rink. Then, because nothing has changed, I sprinted to the gift shop! Every Linus figurine was on sale, in the wake of Halloween. I couldn’t believe it! 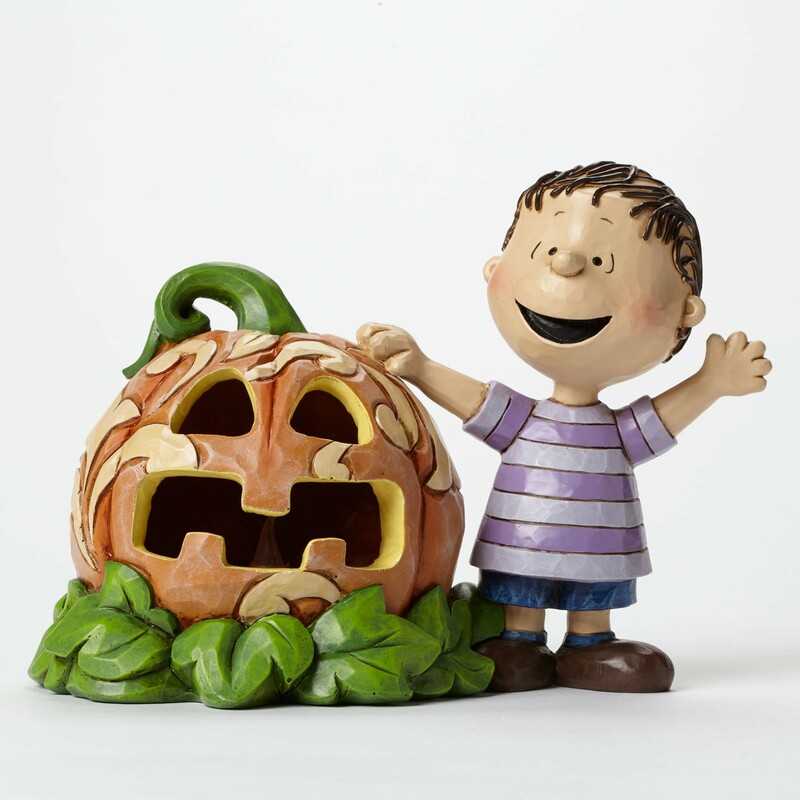 Who wouldn’t want a small, porcelain figure of Linus and his pumpkin? Don’t you just want to squeeze him? !